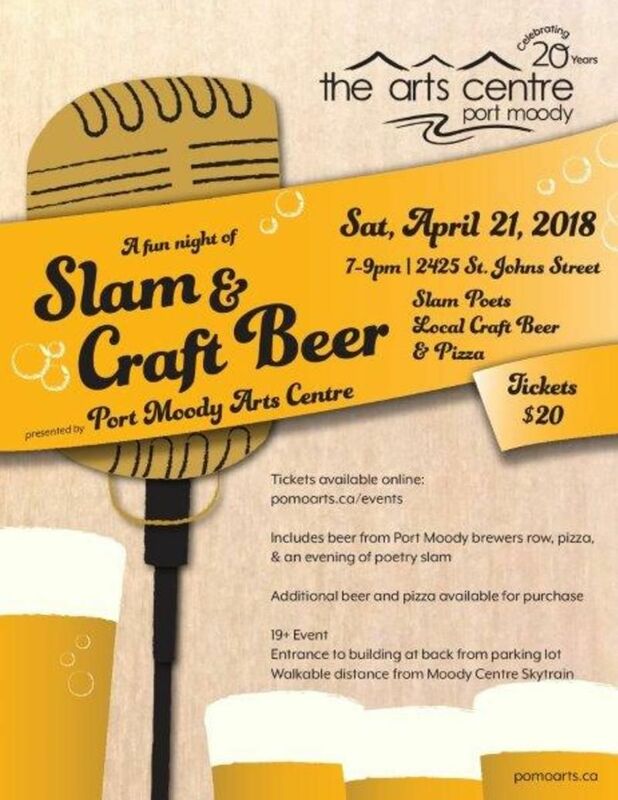 Slam poetry performances, pizza, and local craft beer from “Brewers Row” – all for just $20 in support of the Port Moody Arts Centre. Slam & Craft Beer is a one-night event in the gallery where you’ll be surrounded by fine art and fine company. Celebrating our 20th year, the Arts Centre is a registered non-profit community arts organization mandated to develop, promote, and celebrate the visual and performing arts in Port Moody.